Vyshnia, Ostap [Vyšnja] (pseud of Pavlo Hubenko), b 11 November 1889 in Chechva (now Hrun) near Zinkiv, Poltava gubernia, d 28 September 1956 in Kyiv. (Photo: Ostap Vyshnia.) Writer, humorist, and satirist. He participated in the Ukrainian struggle for independence (1917–20) and moved to Kamianets-Podilskyi with the Ukrainian National Republic government in 1919, where he began publishing a column in Ukrainian newspapers. He was imprisoned by the Soviets in 1920 and released in 1921 as a result of the intervention of Vasyl Blakytny. He continued publishing his feuilletons, in the newspapers Visti VUTsVK, Selians’ka pravda, and Radians’ke selo and in the journal Chervonyi perets’. From 1920 to the early 1930s Vyshnia published a number of collections of his writings, including Dila nebesni (Heavenly Doings, 1923), Komu vesele, a komu sumne (For Some It's Funny, For Some It's Sad, 1924), Rep'iashky (Little Burrs, 1924), Lytsem do sela (Facing the Village, 1926), and Ukraïnizuiemos’ (We Are Becoming Ukrainized, 1926). There was also a series of thematic collections, including Vyshnevi usmishky sil’s’ki (Vyshnia's Rural Merriment, 1923), Vyshnevi usmishky kryms’ki (Vyshnia's Crimean Merriment, 1925), Vyshnevi usmishky literaturni (Vyshnia's Literary Merriment, 1927), Vyshnevi usmishky teatral’ni (Vyshnia's Theatrical Merriment, 1927), and Vyshnevi usmishky zakordonni (Vyshnia's Merriment from Abroad, 1930). 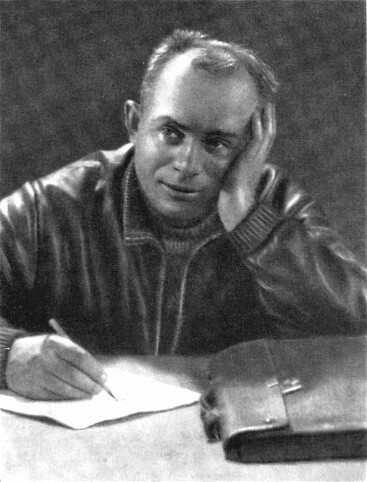 Owing to his popularity among the peasantry, Vyshnia's works had one of the largest press runs among Ukrainian writers in the 1920s. 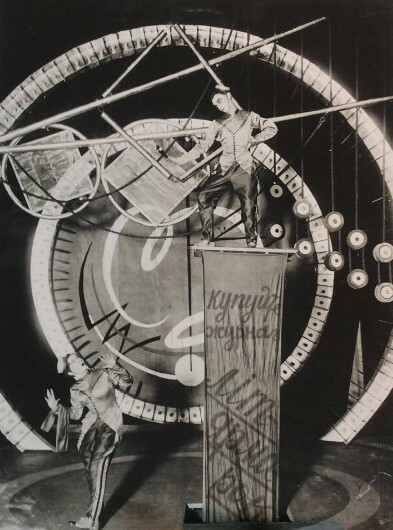 Together with Maik Yohansen and Mykola Khvylovy, Vyshnia was the author of a revue Allo na khvyli 477 (Hello on Frequency 477), produced by the Berezil theater in 1929. 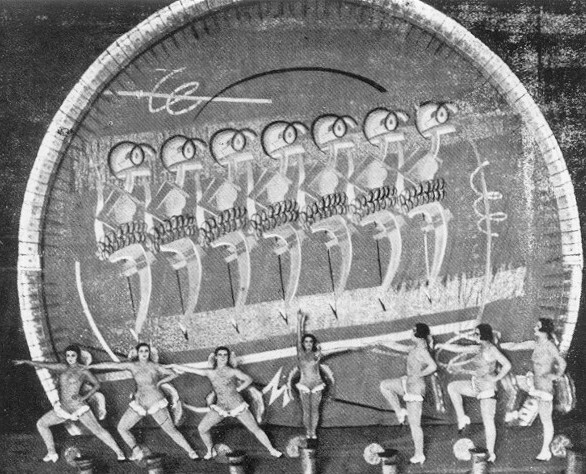 He also wrote several other short works for the theater. In 1933 Vyshnia was charged with nationalism and plotting terrorist actions against the Party leadership. He was arrested and imprisoned in various northern concentration camps, whence he was released in 1943. His collection of war writings, Zenitka (The Anti-Aircraft Gun, 1944), those directed against Ukrainian nationalists, Samostiina dirka (The Independent Little Hole, 1945), and his later works, including Vesna—krasna (Spring is Beautiful, 1949), Mudrist’ kolhospna (Collective-Farm Wisdom, 1952), A narod viiny ne khoche (But the People Don't Want a War, 1953), and Velyki rostit’ (May You Prosper, 1955), were written in the spirit of the official Party line and were not as well received as those of the 1920s. 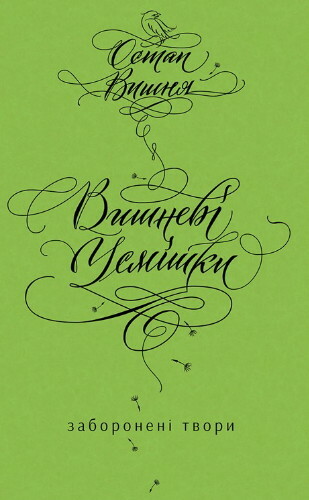 Several editions of Vyshnia's complete works have been published, including Usmishky (Merriment, 4 vols, 1928), and Tvory (Works, 2 vols, 1956; 7 vols, 1963–5, and 5 vols; 1974–5). A small selection of his stories appeared in English translation as Hard Times (1981).